The Philippine Business Bank (PBB) Annual Stockholders' Meeting was held on May 26, 2017 at the Philippine Diamond Hotel. 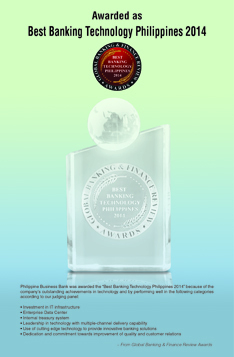 As Philippine Business Bank (PBB) marks its 20th year, PBB has undergone a remarkable transformation from its humble beginning from Caloocan making it to a leading player in the banking industry in terms of SMEs. 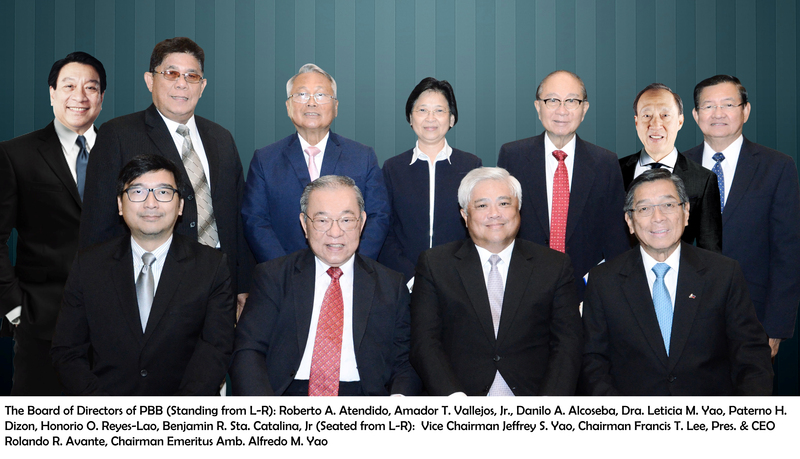 Two decades ago, PBB has grown into the number one stand-alone savings bank maintaining its liquidity all through out its operation in Metro- Manila and other major cities of the country. In his address, Mr. Rolando R. Avante, President and CEO, commented on the 2016 financial year and the bank's game plan for 2017. The bank's game plan is to continue to grow their footprint (they now have 150 locations) by opening new branches and expanding existing ones, especially in areas where the SME (small and medium enterprises) presence is growing. 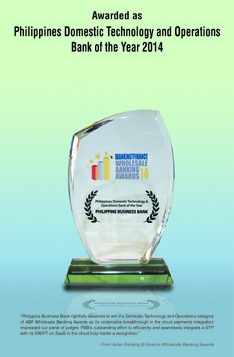 "The SME is our driving force to be who we want to be. We will be a more entrepreneur-driven platform by continuing innovation, exploring new business sectors, enhancing technology infrastructure, and maintaining strong asset quality," said Mr. Avante. The bank plans to further strengthen its work force, which stood at 1,373 employees by the end of 2016, Mr. Avante added. The bank also plans to put up at least a dozen more branches before the year ends, in addition to possible acquisitions. As PBB celebrates 20 years in business with the theme "Chasing Dreams," PBB aims to become the bank of choice of the SME market segment. PBB believes that supporting SMEs is a basic anchor for sustainable economic growth due to their potential in driving job creation, and innovation.